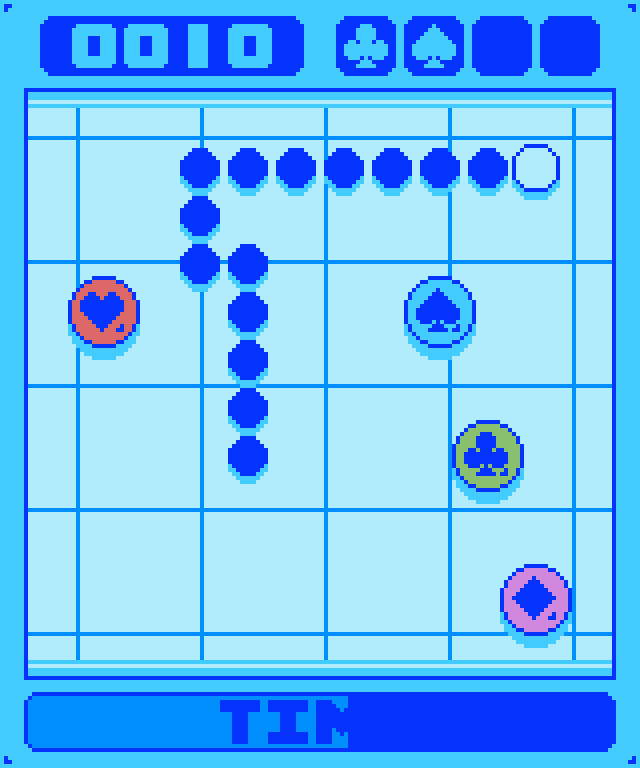 SUITE SNAKE as the name would imply - is my own little take on a simple game of Snake. I take it you've played that before, yes? The concept is generally the same; collect things and avoid crashing into the walls. 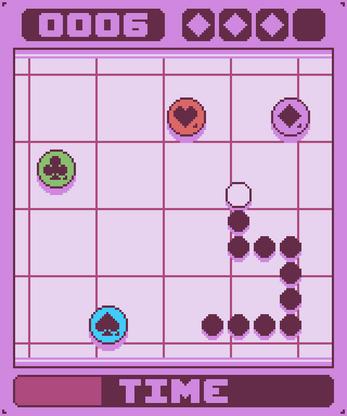 But there a few new mechanics in play such as time limits (of course) and the ability to reduce the trail of your snakey-self on the fly to make things a bit more stressful and more micromanage-y in the moment to moment gameplay. I like the fast pace! It does make the game stressful, but also fun. My best score so far is 20. Too fast. Either make the play field larger or the snake slower.